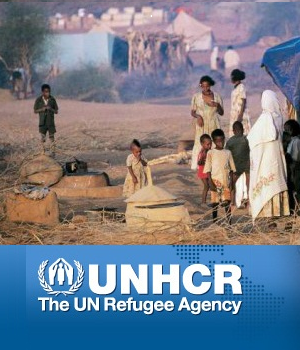 Home » ARCHIVE, Home, MEDIA WATCH, MIDDLE EAST » Al-Jazeera Journalists etc. (Webpublicapress/New York) – Accordingt to the British newspaper Gurdian, not for the first time – the Al-Jazeera‘s “editorial independence has been called into question after its director of news stepped in to ensure a speech made by Qatar‘s emir to the UN led its English channel’s coverage of the debate on Syrian intervention”. Guardian’s author – Dan Sabbagh, (guardian.co.uk), wrote — Al-Jazeera’s journalists “had produced a package of the UN debate, topped with excerpts of President Obama’s speech, last Tuesday when a last-minute instruction came from Salah Negm, the Qatar-based news director, who ordered the video to be re-edited to lead with the comments from Sheikh Hamad bin Khalifa al-Thani”. Webpublicapress is delivering whole article here: “Despite protests from staff that the emir’s comments – a repetition of previous calls for Arab intervention in Syria – were not the most important aspect of the UN debate, the two-minute video was re-edited and Obama’s speech was relegated to the end of the package. There are hints at staff dissatisfaction within the film, available for viewing on al-Jazeera’s website and YouTube, which notes that the emir “represents one of the smallest countries in the Arab world … but Qatar has been one of the loudest voices condemning Syria”. The episode left a bitter taste among staff amid complaints that this was the most heavy-handed editorial intervention at the global broadcaster, which has long described itself as operating independent of its Qatari ownership. An al-Jazeera spokesman said the emir’s speech was “a significant development” that day and the broadcaster “consequently gave it prominence”. Obama’s speech had been carried live, the spokesman added, and the emir’s comments were balanced with disagreement from the Egyptian president, Mohammed Morsi. However, insiders said Morsi’s contribution had to be taken from an interview with another broadcaster, because none of the world leaders speaking at the UN had, or was, intending to take notice of the emir’s comments. 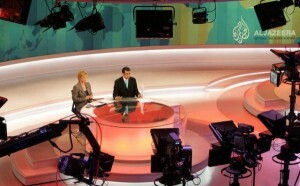 Al-Jazeera English was set up in 2006 by the Arabic broadcaster of the same name and both are owned by the Qatari state. The network, founded in 1996, gained credibility with audiences in the region for its seemingly independent coverage in the post 9/11 period. Its English channel was launched to offer an alternative, non-western-centric worldview. However, in recent years, Qatar has taken steps to consolidate its control over the channel as the country seeks greater political influence in the Gulf. In September 2011, Wadah Khanfar, a Palestinian widely seen as independent, suddenly left as director-general after eight years in the post and was replaced by a member of the royal family, Sheikh Ahmed bin Jassim al-Thani, a man with no background in journalism. In his resignation letter, Khanfar said, after noting that the channel had been criticised by Donald Rumsfeld and hailed by Hillary Clinton, that “al-Jazeera is still independent and its integral coverage has not changed”. He added: “When we launched in 1996, media independence was a contradiction in terms”, but al-Jazeera had managed “to pleasantly surprise” its critics by “exceeding all expectations”, and Guardian wrote.